Things are looking up for Molossers – at least in terms of the American Kennel Club’s newly released list of its most popular breeds. Of course, no breed can hope to surpass the Labrador Retriever, which has been America’s most-registered breed for almost three decades. But on that list of most popular breeds, which is based on 2018 registrations among AKC's 192 recognized breeds, most Molossers either maintained their rankings, or in some cases even moved up. For the third year in a row, the Rottweiler held steady to its number-eight position, sandwiched between the Poodle and German Shorthaired Pointer. 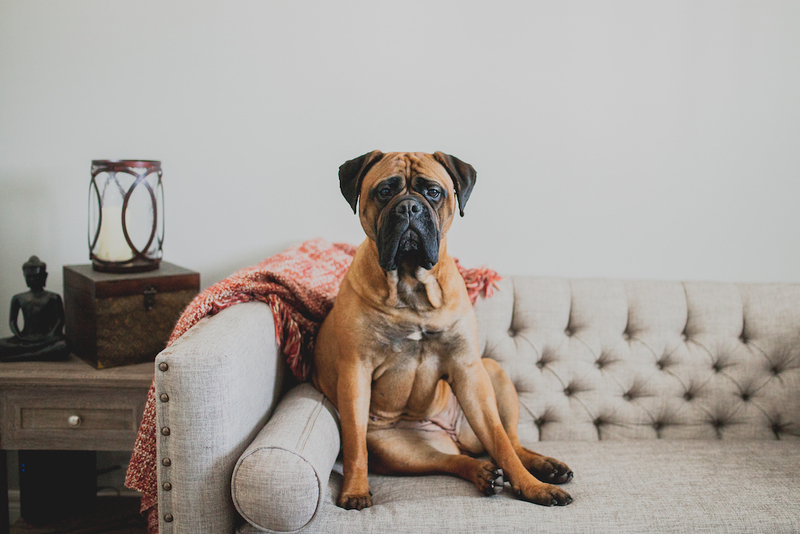 Tenacity being an indispensible Molosser trait, the Bullmastiff followed suit, refusing to budge from its slot as the country’s 51st most popular breed, as did the Dogue de Bordeaux, which again came in at #67. I'm not going anywhere: Bullmastiffs refused to budge from their spot as the 51st most popular AKC breed. Other Molossers, however, were not satisfied with the status quo. Tibetan Mastiffs scored the biggest jump, going from #153 in 2017 to #131 in 2018. Much higher up on the list, the Cane Corso broke loose from the 37th ranking in 2017 to end up at a more-than-respectable 32nd place in 2018 – a nod to the growing popularity of this athletic Molosser. Its more generously proportioned Italian cousin the Neapolitan Mastiff was similarly ascendant, going from #107 to #102. The Boerboel, which only became officially recognized by the American Kennel Club in 2015, was in 126th place on the list that year. Since then, South Africa’s native mastiff has been working its way upward, progressing from #124 in 2017 to #121 in 2018. The only Molosser breed to drop in popularity was the Mastiff, but even then only incrementally, logging in at # 29 in 2018, one slot down from its 28th place in 2018. Popularity, of course, is a double-edged sword: The more demand there is for a breed, the more damage can be done to it by unscrupulous breeders. Seen through that prism, the fact that Molossers are holding their own -- or at the very most making modest gains -- on this annual list is the best their devotees can ask for.